Custom Footworks is a full service Pedorthic facility, improving the quality of life one patient at a time. Service includes custom on-site orthoses evaluation and fabrication. Custom Footworks handles athletes of from all age and skill levels, from Little League to Professional. Specialization includes arthritis, diabetic care, orthopedic trauma, and post operative protection. Larry Urben MS ATC LAT C.Ped is the clinician. 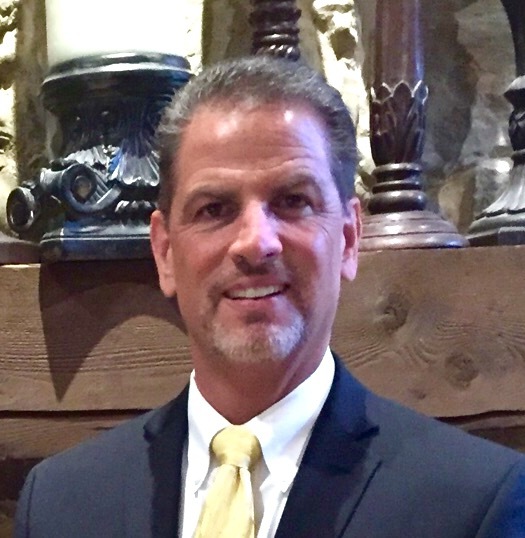 Larry holds a Master’s degree and has been a Certified Athletic Trainer for over 35 years. He has been practicing as a full time Pedorthist for the past 13 year. Combining his Sports Medicine background and the fabrication of functional orthotics, he has created a unique product. All orthotic devices are hand fabricated on-site using different density materials to meet your specific needs. The Pedorthic profession includes the design and manufacture of foot orthoses, modification and selection of proper footwear, all aimed to prevent and/or alleviate foot problems. We focus on the fabrication and dispensing of orthotic devices as well as extra depth footwear and custom shoes. Pedorthists accept referrals from Physicians, to dispense orthotics for a myriad of lower extremity conditions. The goal of the orthotic is to improve the lower extremity mechanics, by controlling the rear foot, mid tarsal joint, and the forefoot. Through controlling the amount and timing of pronation, abnormal forces which lead to chronic overuse symptoms can be alleviated. Orthotic intervention coupled with proper stretching and strengthening lead to tremendous results. Taking care of the orthotics and stretching is important for effectiveness and longevity of your inserts. The Orthotics are custom made to your feet and will change lower extremity mechanics. A gradual break-in period is advised, because orthotics change how the foot mechanically works and how your shoes fit. Please review the Orthotic Care Guide. 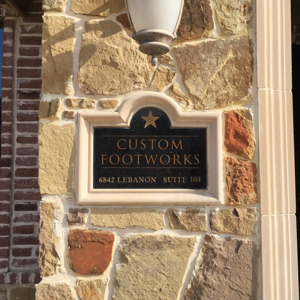 The Custom Footworks Office can be found at: 6842 Lebanon Suite #104. Frisco, TX. 75034. The office can be found on the west side of the Starwood Plaza, and the building is co-owned by The Frisco Counseling and Wellness Center. The office can be reached by entering the Starwood Plaza and taking a left before the Flagpole, a right at the end of the road, and the office is on the right.